Yesterday I was sitting at my kitchen table, leafing through old Elvis magazines like I sometimes do. I like to "time travel" in this way, as it reminds me of how it was like being a fan in say 1985, and what was going on in the Elvis world back then. "Although 1985 has been Elvis' 50th anniversary year you wouldn't know it from looking at the record charts... Packages such as The Rocker, Always On My Mind and A Valentines Gift For You, have about as much finesse as Elvis Sings For Children and Grown Ups Too." Interestingly enough, a couple of pages later the fan club magazine publishes an interview with the guy behind the above mentioned releases, the then "Elvis RCA boss" Gregg Geller. The interview was originally published in the record collectors magazine Goldmine, and has Geller talking about creating a new Elvis Presley catalogue that would make sense to someone who arrives from another planet in the year 2077 and goes to a record store! "There are many, many concert recordings from the '70s. There's so much of the stuff that we're still at our leisure cataloging it. But there were so many live Elvis records released in the '70s, there's not much to add to the picture. I think we can allow for some time to lapse before we get to those." "The ideal album would have been called Elvis '56 in my opinion. It should have included every piece of music Elvis recorded in 1956." Unfortunately, the interviewer doesn't ask why this wasn't to be, instead moving on to Gregg Geller's concept albums. Geller reveals that his own favourite among the bunch is Reconsider Baby, and I have to agree with him on that. It's one of the best Elvis compilations around that at the time included a couple of gems such as the fast version of "Ain't That Loving You Baby," the undubbed "Tomorrow Night," an alternate mix of "Stranger In My Own Home Town" as well as "One Night (Of Sin)." I then had to smile when Gregg Geller talked about the Always On My Mind album, telling the interviewer that "Somebody actually suggested calling it Priscilla." Yeah, I wonder what she would've thought about that!? The interview ends with Geller talking about his plans for the future, all compilations, "a country Elvis package... a couple more Rockers... a gospel album... an album of the real straight ballad singing that he did in the '60s." In retrospect, I'm sure Gregg Geller did what he thought was best and that he had some good ideas, but clearly that wasn't enough. Thankfully, Roger Semon then took the helm and showed which course to steer with releases such as Essential Elvis and Stereo '57. 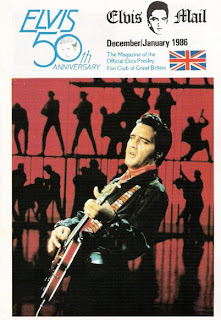 Then, in 1992, together with a certain Ernst Mikeal Jorgensen, he put Elvis on the map again with the '50s box set and, well, you all know the story. I think Geller peaked with the "Elvis Presley Commemorative Issue" series in 1987 [The Complete Sun Sessions, The Memphis Record, The Top Ten Hits, and the slightly redundant The Number One Hits]. Four (okay, three) unique releases in that important tenth anniversary year that covered a wide spectrum of Elvis' music. 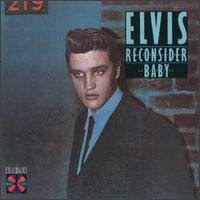 Along with Return of the Rocker, those were among my first Elvis albums, though - so perhaps I'm biased. Funny that you should mention the 1985 era, though, because doesn't it almost feel like the main label is having the same problem with Elvis' catalog today? They can't seem to wrap their arms around it anymore. "Elvis In The 90s" was the best treatment of Elvis' catalog, and it's been kinda downhill since 2003, I would say. The success of ELV1S: 30 Number 1 Hits in 2002 unfortunately resulted in a renewed focus on compilations and away from Elvis as an artist in context. Sure, the collectors label has been wonderful overall, a real blessing (with ups and downs of course), but the main label doesn't seem to do Elvis justice anymore. If it wasn't for the collectors label, these would be tough times for Elvis fans. once again, I couldn't agree more with the things you say! "The Memphis Record" was one of my favourites at the time, and "The Complete Sun Sessions," too. As regard to the latter, I've always thought it a bit funny that the CD edition didn't include as many outtakes as the double LP album and was renamed "The Sun Sessions CD." (It was usually the other way around, e.g. "Hits Like Never Before - Essential Elvis Vol. 3"). I also think you're right on the money when it comes to Elvis' main label, except for "Elvis At Sun" and "The Complete '68 Comeback Special," nothing much has been done except compilations since 2004. I therefore welcome the 40th anniversary edition of "From Elvis In Memphis." Also thanks for the link to the article, interesting indeed. I remember bying the "A Golden Celebration" box set when it was released and feeling a little disappointed, as I thought the "Elvis Aron Presley" box set was so much more exciting and varied, with both the '61 concert and the one from '75. But of course it was an essential release!